Finally again some news from SFGUI! As the name suggest it’s a GUI library for SFML. We all know that there’s a huge hole in the “open source market” regarding good UI libraries, but under all these different libraries, SFGUI is following a modern design approach and for simple UI elements, it might be perfect. Unfortunately it’s always a work in progress and thus still needs many essential feature – then again, SFGUI is open source, so go and contribute, write your missing widget, add some awesome functions, write a bitmap renderer, etc.! You can get a detailed change log here and if you download the Windows binaries, you’re downloading my creations. Are you a fan of Chess and SFML? Behold your dream of a SFML based interface for UCI engines has been fulfilled: Black Wolf. And as you might have guessed, it’s a simple UI – made with SFGUI – which lets you load a Universal Chess Interface (UCI). 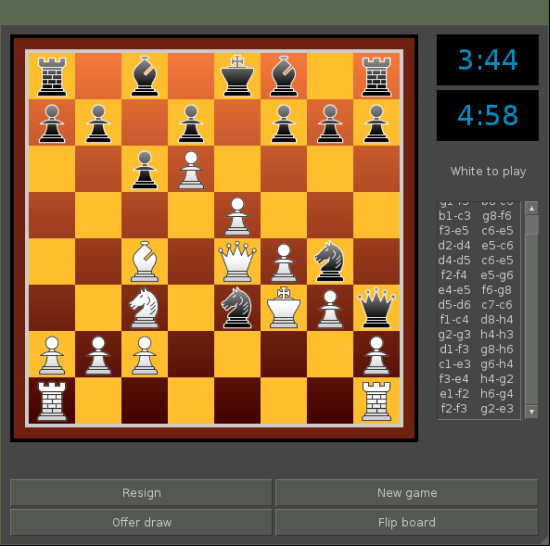 It currently uses Stockfish as chess engine, but I’m not sure how you can change the engine. You might want to look at the source or talk to Kojay the author itself. 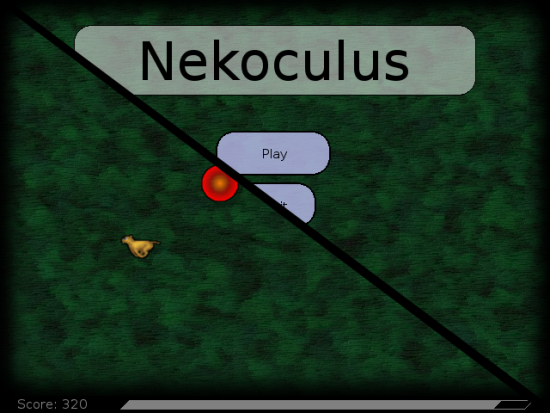 Krssst a rather new member of the SFML forum created the run-away-from-ball-as-a-cat game called Nekoculus. It’s not very easy, since it’s rather fast paced and the difficulty increases rather quickly. He uses a variate of different AI options to keep hunting you, so if you’re interested you should read a bit more on the forum thread, since Krssst is giving insight on what the algorithm does. There are currently only Windows binaries, but if you’d like to run it on Linux or even Mac OS X, you can easily grab the source and do so. Yep, my favorite game as made it again with a new update to version 2.0. We’re now looking a new artwork, AI tweaks and other stuff. See the changelog here. It’s really fun to play and with the adjusted AI you really have to navigate your ships around with more thoughts to it, otherwise you’ll have lost, before it even started. Well do you remember this awesome looking game in progress? Well let me refresh your memory by linking you to the forum. The video below is not the only new stuff, but Jungletoe has also been working some new lighting system, which looks really great. As promised Postmortem, a free narrative-adventure game, has been released as of the 15th August. You can download it from their website either for free, without the extra character and without any of the other goodies, or you can pay a certain amount to help out the devs. As a third option you can get the game on Desura, a game platform similar to Steam but especially made for Indies, for a small amount of money (currently even on sale). If you feel even more like supporting the game and want to have it in your awesome Steam library, make sure to vote for it on Greenlight. Given the fact, that the SFML Game Jam got its own sub forum, I thought, I’ll give it its own paragraph on my blog. 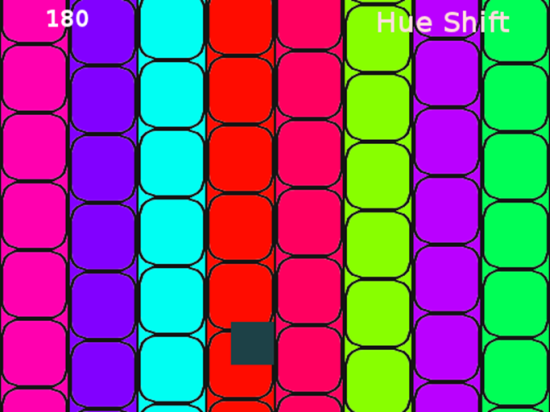 First small look at what the SFML Game Jam is and then I’ll go through all submissions. At first I wanted to a some rating, but it seem rather random and didn’t really reflect my feelings about the games, so I simply removed the star rating. What is the SFML Game Jam? 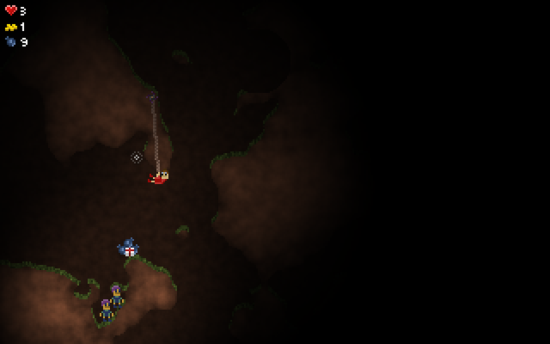 LandS short for Lights and Shadows was the first SFML Game Jam submission handed-in by Lo-X. You’re a Ghostbuster (do I really have to link this? Okay fine…) in a haunted castle and your goal is to find the exit, before the ghosts kill you. The visual art is quite nice and I could only dream creating graphics like that and then in under 72h whilst writing a game, not to mention the nice music! To be fair Lo-X had been creating his framework based on the code from the SFML book prior to the contest and thus had already quite a few nice things setup. As second submission we have a Snake clone, but with a small twist to fit the theme. 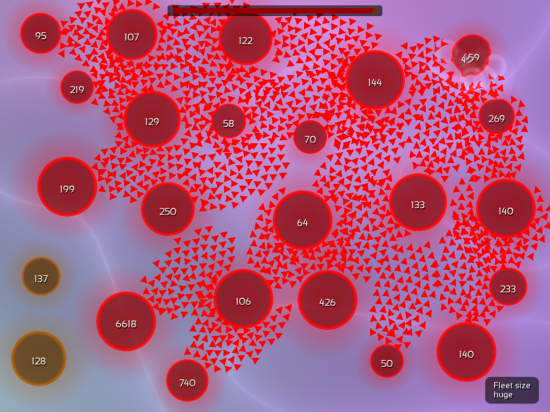 Usually you’ll get the whole screen displayed and thus you’ll always see where the new apple spawns. 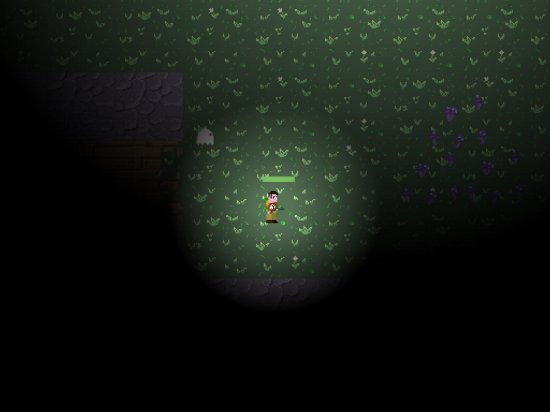 In Shadow and Slithers however your view is limited by some randomly placed torches and where ever your head currently is. So you’ll not only have to watch out to not hit a wall or yourself, you’ll now also have to search for the new apple and the bigger you grow the bigger is the danger to run into yourself in one of those covered areas. While the literal use of the word “Shadow” hasn’t been seen a lot, cpolymeris has exactly done this. We get to see the more or less by now known light cones, but whenever a cone hits a wall, it will cast a shadow. 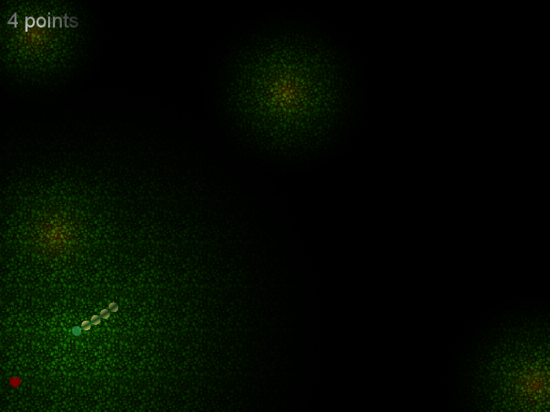 The game mechanics are really easy – just use the arrow keys to move around – it might take you a while to recognize that the wobbling dots are actually representing a person from top-down perspective with its arms moving. Unfortunately the game doesn’t offer a lot of content and the fact, that it’s nearly impossible to always stay outside of the light cones, the game gets a bit boring rather quickly. Overall a nice idea and if one adds some more stuff, it might get really fun to play! Next up is a rather interesting game by zsbzsb. It’s a split-screen platform puzzle game with the goal to reach the door that’s further up. Before you jump into this game, make sure to read the description on the forum, otherwise you’ll be completely lost and not know what to actually do. 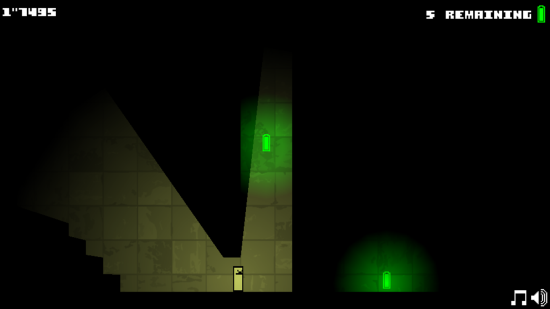 While trying to get to the door, you’ll encounter gaps in between, which seem to make it impossible to finish the game, but using some special lights, you can uncover hidden platforms. The idea and concept is really great, unfortunately it seem to have cost a bit on usability and the font choosing wasn’t the best decision either. I really hope we’ll see a refined version sometime in the future! 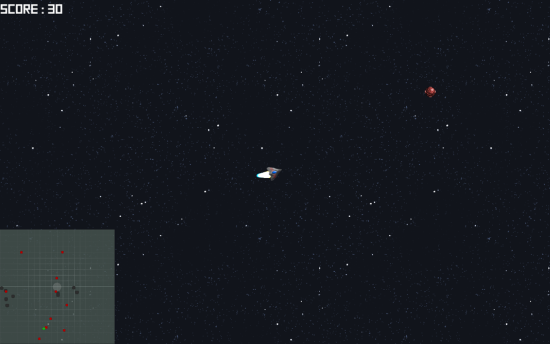 Around 3h after zsbzsb’s submission, I posted my game on the forum as well. Until now I haven’t told anyone that my original inspiration for Lightspeed was the Android game Speedx 3D. I always knew that the final result will be completely different, mostly due to the differences in dimensions, but I’m glad that it’s more or less a game on its own. Sure, now that you know where the roots of the idea came from, you’ll see a few similarities, but all in all they are both different games. 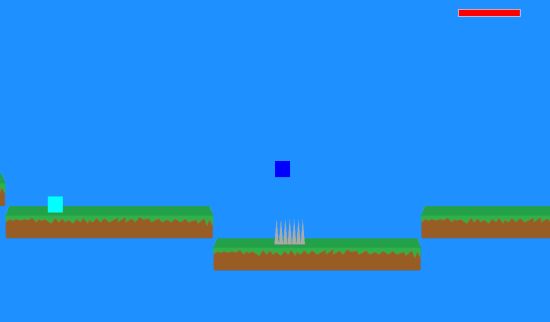 The development of the game was quite interesting and I hadn’t planned out a lot, but since I’ve had created a basic structure for a game numerous times, it was quite easy to get something setup. The bigger issue I had, especially in the beginning, was the constant distraction on the stream chat. I seem to have been entertaining binary1248 as well as FRex quite a bit, but they also started having various discussions in the chat, taking away my concentration on programming. 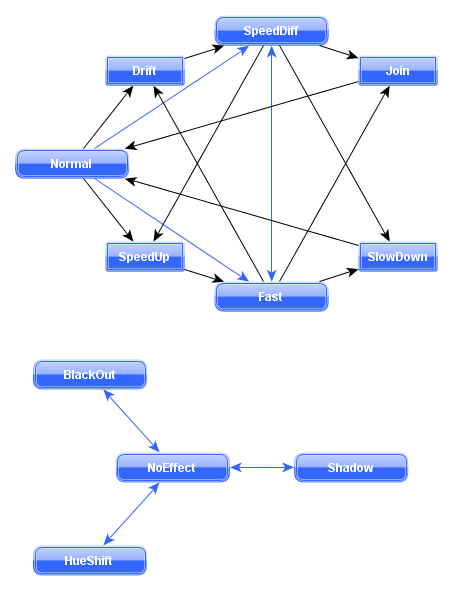 The different effects, which you can see in-game, are basically based on two different state machines. One is responsible for changing the speed of the strips and the other one is changing the states. Here’s some fancy diagram. The round boxes represent states, while the rectangle boxes represent intermediate states. The blue arrows represent state changes and the black one show intermediate changes. If you want to know more about the game’s inner mechanics, you can check out the source on GitHub, but keep in mind, this was all written within 72h and thus the code quality is not got at all. Done use the code as basis for your own game! Why should I rewrite the description, if the game has it already? 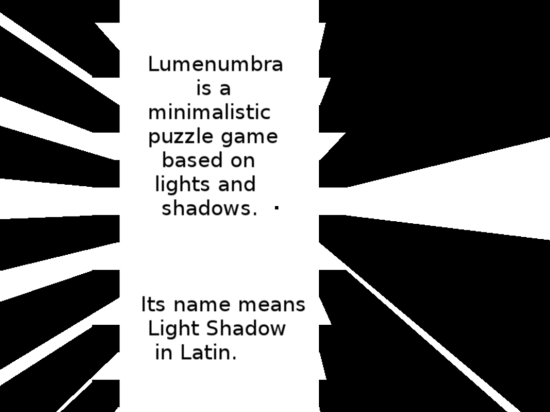 When I first read about the theme, something similar to this game came into my mind, since it plays really well with the differences of lights, as in bright areas, and shadows, as in dark areas. 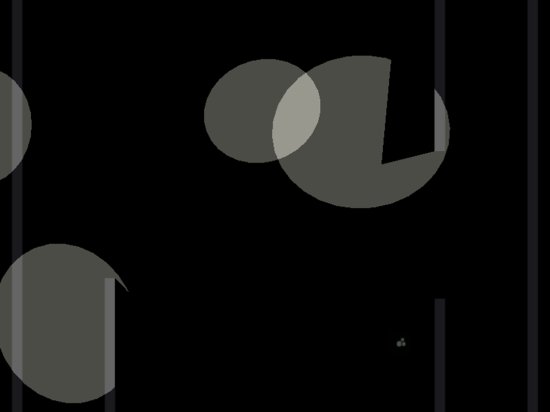 I really like the simplicity and three dimensional looking way. The game mechanics, such as movement, number of levels and variant in game play over all seem to need a bit more work, but seeing that we’re already version 0.2, I guess we can expect more to come. If you’re a fan of Super Meatboy, you might be liking this submission very much. It’s a platformer where you’re a light running around the map while collecting batteries to keep you glowing string enough. They really didn’t make it easy, so get ready for some trying and dying. I still haven’t fully finished it but hope to get to it at some point, but I’m also hoping that the developers will take up the challenge in polishing this game to full extend! This right here has in my opinion some good Indie game value. Sure it might need some special stuff added, to make it even more unique, but from the whole concept and art style, this is very good! 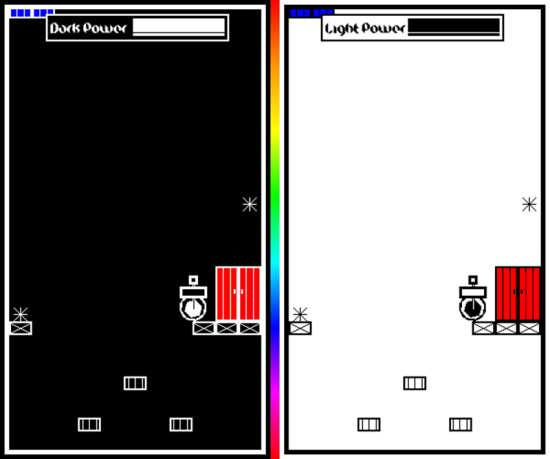 As last game in the whole submission thread we have “Lite” or maybe “Lite Jam”. Unfortunately the author aeron didn’t make it really clear what the game’s title is. Looking at the game mechanics and visual refining we have either a real professional at work here or we’d have to start doubting that this was all done in 72h. Randomly generated and fully destructive terrain is just not something you learn easily and then to be able to implement it in under 72h, while still having some time to tweak the generating settings to create a beautiful scene, is just mind blowing. But regardless how much time and experience went into creating it, one thing kills it quite quickly for me: The keyboard bound rope targeting. 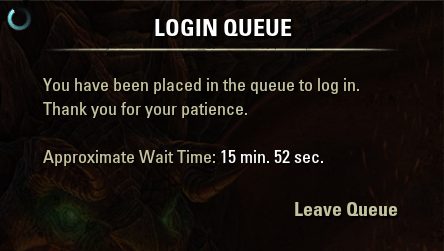 It’s very tricking and rather slow. I guess if you play it long enough, you’ll get used to the mechanics, but for me it’s rather cumbersome, not to mention that Y and Z are swapped on my keyboard vs. the American layout. While the system behind the game is mind blowing and has a ton of potential, the gameplay mechanics need quite a bit of tweaking before this turns into an actual playable game. Due to the sheer amount of projects to present I left out some discussion parts, mostly to finally get to a release of this never ending news entry. There have been a few new commits to SFML and Thor – unfortunately I haven’t gotten around to update the Nightly Builds, I really need to automate that process more! If you have any suggestions or if you feel like, I’ve missed something or made a mistake or just want to say Hi! or Thanks! feel free to do so in the comment section or on the forum. Being a huge fan of compressed information, I enjoy reading the news entries about SFML and related stuff. Keep it up, nice writing! Just started working on writing content for the next post – lots of projects to present!